In my first blog-post two years ago I described the mark of Fritz Hasselmann, as found on several items at the Chester Beatty Library, Dublin. The online Lugt entry for Ed. 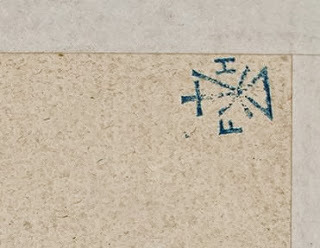 Schultze (also discussed in my old blog-post) has no new information, but includes a colour reproduction of his ink stamp. Another example online comes from the Cooper-Hewitt Museum. 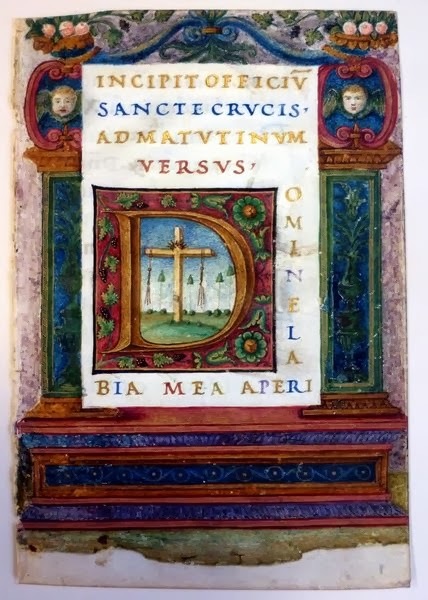 In response to the post about the Ashburnham-Libri manuscripts catalogue, one reader asked me about catalogues of the other Ashburnham manuscripts. 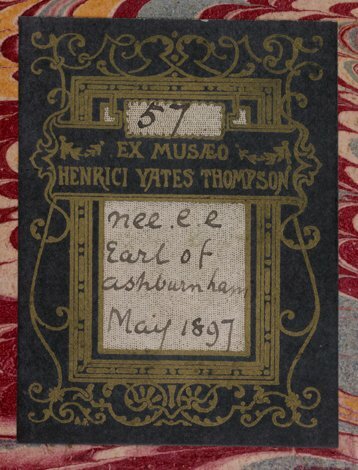 The catalogues privately printed by Ashburnham himself are still not all available online, but each is represented online by at least one copy of the relevant auction catalogue. Much has been written about Otto Ege in the past two decades: see, for example, the articles by Barbara Shailor, ‘Otto Ege: His Manuscript Fragment Collection and the Opportunities Presented by Electronic Technology’ (2003) (available online), and by Fred Porcheddu, ‘Otto F. Ege: Teacher, Collector, Biblioclast’ (2006) (also available online), as well as the Ege project website at Denison University. The most recent flurry of interest in Ege has been prompted by Lisa Fagin Davis’s entertaining and informative Manuscript Road Trip blog-posts here, here, here, and here (and doubtless more will follow). 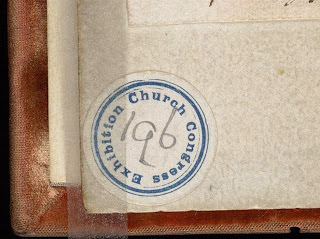 Coincidentally, a few weeks before reading her blog-post, I was looking through a collection of leaves which were waiting to be catalogued by Christie's, London, and recognised that they are in characteristic red-ruled Ege mounts. The Post-Medieval Owners of "The Bohun Bible"
The literature on the "Bohun" Bible suggests that the parent volume was written perhaps for a nunnery, perhaps in East Anglia, and was perhaps volume III of a four-volume set of which volume I is now British Library, Royal MS. 1 E.iv. 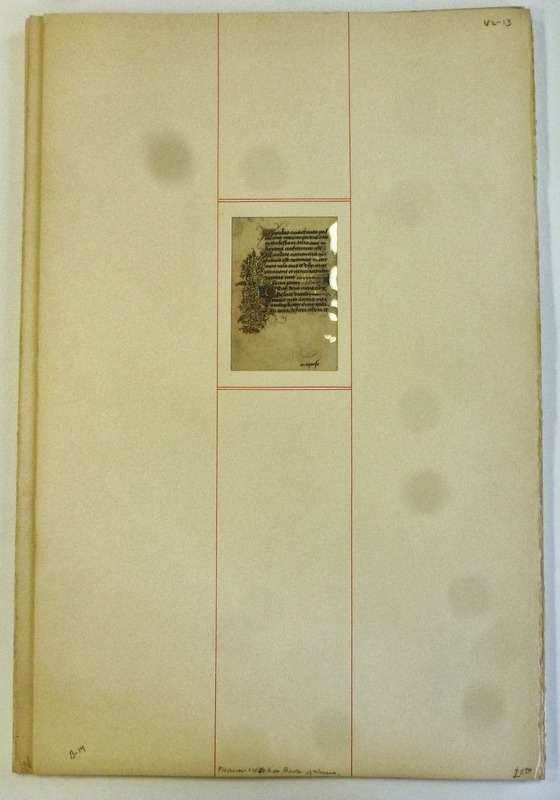 The last leaf of the parent volume of the dispersed leaves, now Bodleian Library, MS. Lat. bib. b. 4, f. 46v (formerly f. 413v in the parent volume), is inscribed “Richardus Legh me possidet Anno Domini 1613” (the first four words are repeated below this, but are crossed through in both cases); this is presumably Richard Legh, b. 1549(? 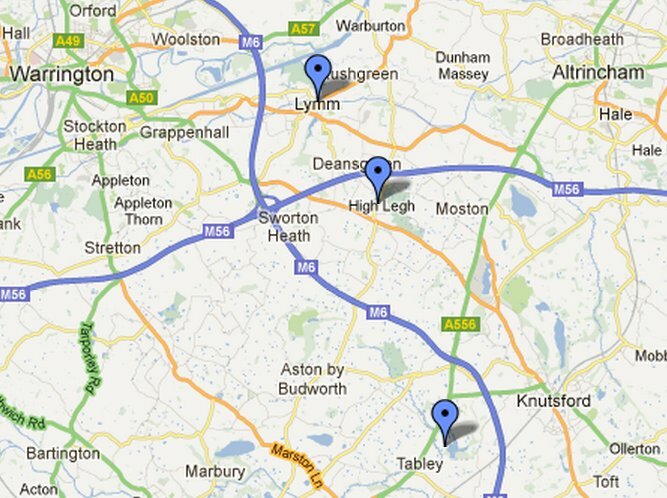 ), of East Hall, High Legh, Cheshire, or Richard Legh, b. 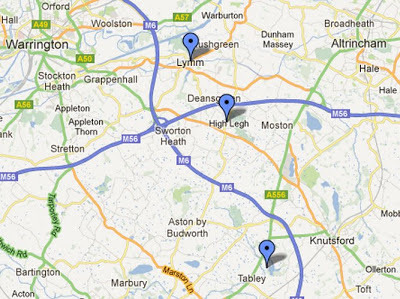 1554, of West Hall, High Legh. Extensive genealogies of these families can be found here. I have recently read and reviewed Kathryn A. Smith, The Taymouth Hours: Stories and the Construction of Self in Late Medieval England (The British Library: London, 2012). 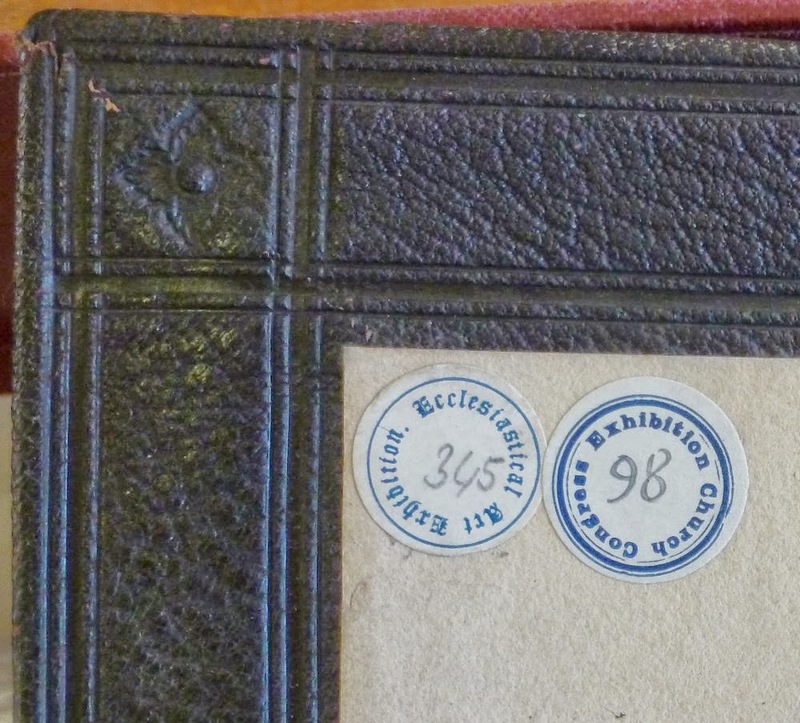 I have often argued that the post-medieval and even modern provenance of medieval manuscripts can provide valuable clues to their medieval origins and owners, and the Taymouth Hours may be a case in point. 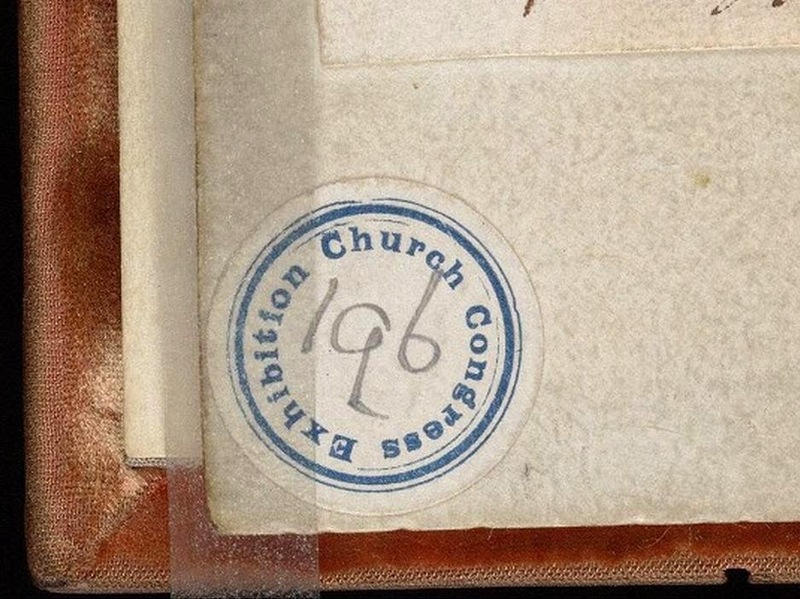 I will consider the manuscript's provenance in two parts: here considering its post-medieval homes, working backwards from the present, and then its origin patron in a subsequent post. choicest of my English MS.S. "nee.e.e": the price he paid, using his price-code "bryanstole", i.e. "£500 0s. 0d." 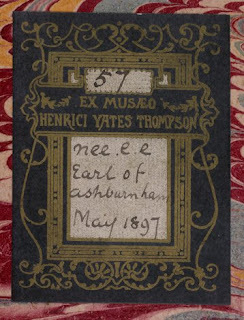 "Earl of Ashburnham May 1897": the source and date of acquisition. 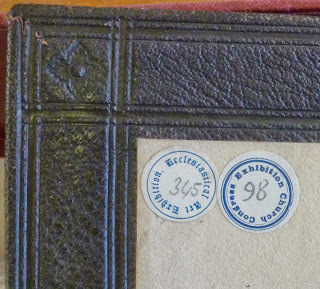 "858 Novum Testamentum. 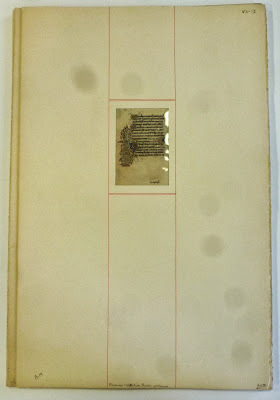 Pars Expositionis Bedæ in Actus Apostolorum, manuscript of the tenth century, written in double columns, on vellum, with the book-plate of Lord Guilford, half morocco folio X Cent"
"71 Bedæ Expositionis in Actus Apostolorum Fragmentum, manuscript of the eleventh century, written in double columns, on vellum, with the book-plate of Lord Guilford folio XI Cent"
In the 1903 sale it was bought by "Brewer" (or perhaps Bremer?) for £1, and in 1911 by J[acques] Rosenthal for £4 5s. Presumably Brewer/Bremer failed to pay for the item, or returned it for re-sale. 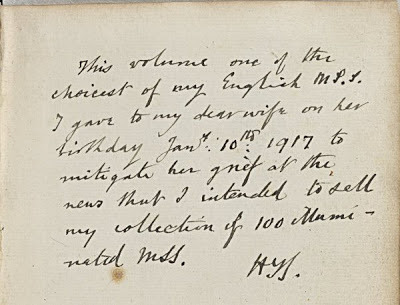 This tells us that the manuscript was a bound volume until at least 1911, although incomplete, and that there was definitive proof of having come from the Guilford library, as suggested by the Phillipps catalogue at no. 10614. 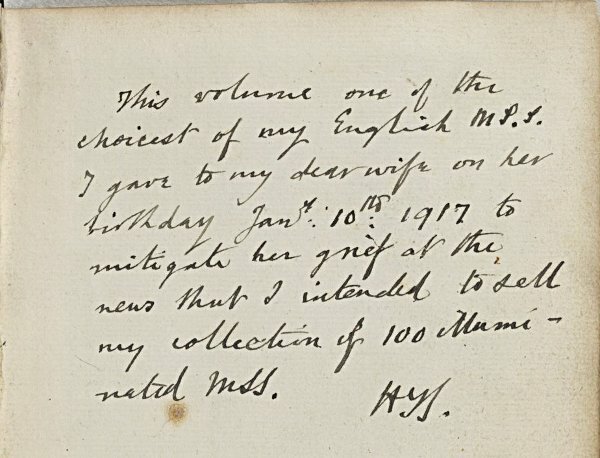 This description does not mention that the manuscript was a fragment, so the "fragm." of the first description indicated that it was an incomplete codex. 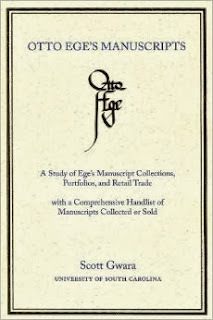 The Schoenberg database does not include single leaves, however old or interesting, but it does include incomplete codices, and the present item can be found there by searching with "Bede" as author and "Guilford" in the Provenance field (I prefer to use the old interface, which is much more user-friendly than the "improved" one). "1053 Bedae, (Venerabilis,) Expositio in Actum Apostolorum. 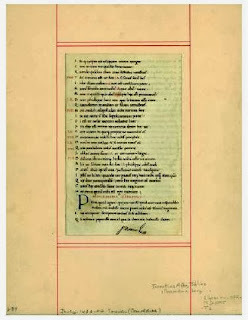 A very ancient Manuscript of the Twelfth Century upon vellum, in double columns, from Lord Guilford's Collection, 3l. 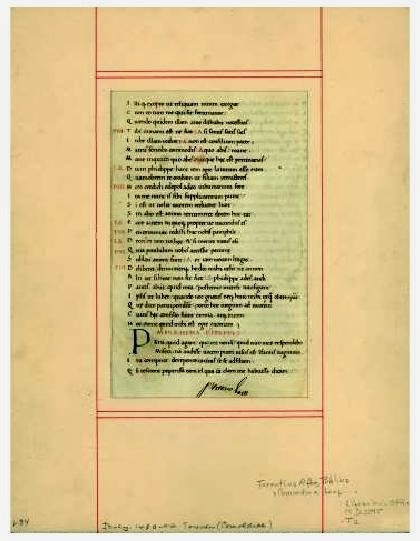 3s -- -- -- folio"
"410 Venerabilis Bedæ Expositionis in Actum Apostolorum, A VERY ANTIENT MANUSCRIPT, ON VELLUM"
A marginal note in ink in the catalogue "α/o/o" indicates that there was a reserve of £1 on the lot; it was bought by Thorpe for £1 3s. 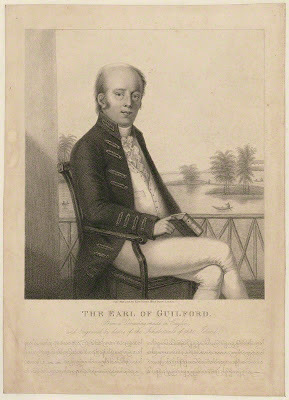 Thus we have confirmed that the manuscript comes from the collection of Frederick North, 5th Earl of Guilford (1766-1827) part of whose library was sold in auctions from 1828 to 1835.